Both in “The Lord of the Rings” by J. R. R. Tolkien and in “A Song of Ice and Fire” (Game of Thrones) by George R. R. Martin, groups appear who are called “Rangers”. In Tolkien’s world these are on the one hand the Rangers of the North, the survivors of the extinct Northern Kingdom of Arnor, who became a hidden and wandering people, and on the other hand their southern relatives, the Rangers of Ithilien, an elite unit of the Army of Gondor, who went on expeditions and raided enemies in the abandoned and controversial borderland of Ithilien. In Martin’s world, the Rangers are part of the Night Watch that guards the wall at the northern border of the seven kingdoms of Westeros. Andreas Zeilinger’s lecture Ranger and Night Watch at MagicCon 3 deals with the history, tasks, similarities and differences of these groups. 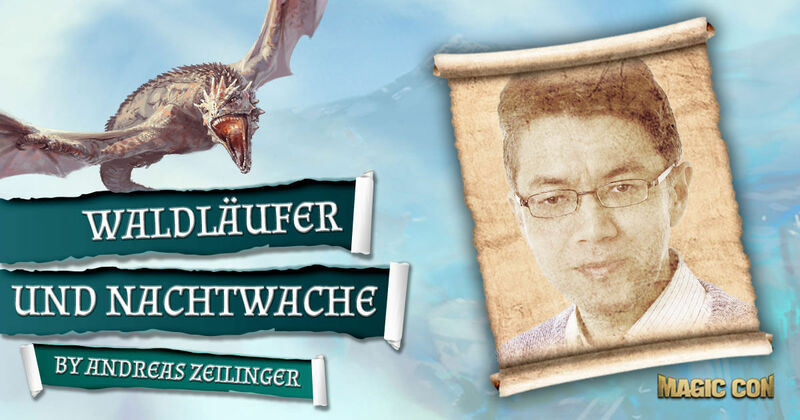 Andreas Zeilinger, born in 1971, studied business administration, works as an employed tax consultant in Nuremberg and lives in his native Fürth. Since his childhood he has been enthusiastic about fantastic literature. He is a long-time member of the "German Tolkien Society" and speaker of the "Tolkien Stammtisch Franken". At conventions, Tolkien Days and other events he regularly gives lectures on the works of J. R. R. Tolkien, currently also with crossover comparisons of aspects from Tolkien's world with "A Song of Ice and Fire" by George R. R. Martin. He is particularly interested in the people of the West, the Númenorians and their descendants in Gondor and Arnor, which is why he is also a member of the garment group "Dúnedain Germany".